From increased IQ and spatial-temporal skills, to early language development, the benefits of music education are endless. Early childhood music education plays a crucial part in developing the brains of babies, toddlers, and preschoolers. Shake, Rattle, and Roll, by Abigail Flesch Connors, reveals the importance of music education, and what impact including music in your classrooms can have on your little learners. 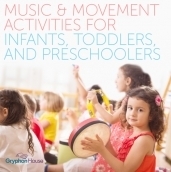 In her book, Abigail Flesch Connors says, “Music is the wonder of inventing, imagining, and creating…” Using music effectively in lessons inspires the curiosity and creativity of young children, allowing them to explore their minds and exercise more than one part of their brain. Music education nurtures naturally curious minds and provides young children with crucial parts of their formative education, helping develop skills across the board. Overall, music education is literally a lesson in creativity, which is the root for successful learning. Early childhood music education is the perfect way to combine learning with fun, while getting a head start on crucial skills your preschoolers need for the rest of their lives. 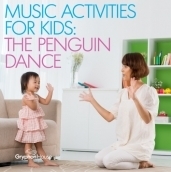 Find more educational music activities in Shake, Rattle, and Roll!